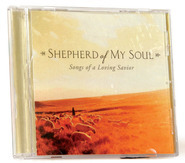 Song of Redeeming Love stands as a testimony of our belief in Christ and our sincere gratitude for Him. These stirring, worshipful arrangements, performed in Dallyn's incomparable style, will move you spiritually and emotionally. 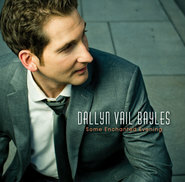 Dallyn Vail Bayles is a professional actor, singer and recording artist. Bayles performed with the Broadway touring company of "The Phantom of the Opera" where he understudied and performed the roles of the Phantom and Raoul. He performed internationally and throughout the United States with the Broadway tour of "Les Misérables," including the China premiere starring Colm Wilkinson. In New York City, Bayles performed with Stephen Schwartz in the industry reading of his musical "Children of Eden," playing the role of Adam. Regional theater credits include: Emile de Becque in "South Pacific" (Hale Center Theater Orem), Archibald Craven in "The Secret Garden" (Village Theatre and Hale Center Theater Orem), and Count Chandon in "Phantom" (Fullerton Civic Light Opera). Bayles is a member of Actors' Equity Association. Bayles was honored to perform as a soloist along with Rebecca Luker in "Golden Days: A Celebration of Life," the 85th birthday celebration of LDS Church President, Thomas S. Monson. He portrays Hyrum Smith in the films "Joseph Smith: The Prophet of the Restoration" and "Emma Smith: My Story". He is also featured in the "Mormon Messages" film "Flecks of Gold," and other LDS Church media. Bayles and his wife, Rachel, portrayed Joseph and Emma Smith in the first three seasons of the "Nauvoo Pageant". He also portrayed Alma Richards in the LDS Church’s 2002 Winter Olympic production, "Light of the World," and Joseph the Carpenter in "Savior of the World". Bayles has performed twice as a guest soloist with the Mormon Tabernacle Choir on "Music and the Spoken Word," and has sung with various orchestras and at numerous events around the country, including Time Out For Women. In 2012 Bayles released his third solo album, a collection of timeless and contemporary Broadway songs titled, "Some Enchanted Evening". 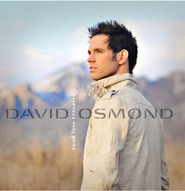 He has also recorded two inspirational solo albums titled "Song of Redeeming Love" and "Prayer". 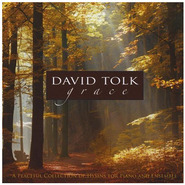 His recording of "Savior, Redeemer of My Soul" is featured in the film "17 Miracles". A native of Green River, Utah, Bayles graduated with a BFA in Music Dance Theatre from Brigham Young University. He was honored by BYU in 2012 with the Young Alumni Distinguished Service Award. He and Rachel are the proud parents of five children. 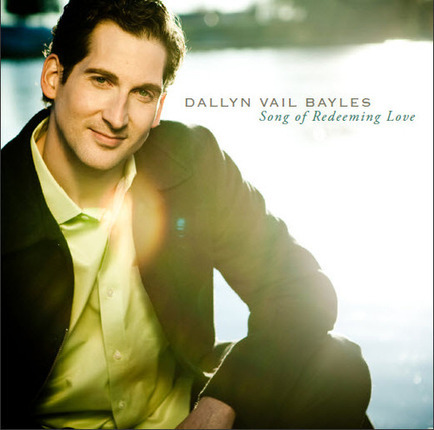 Dallyn's voice is absolutely gorgeous, and I love each song on this CD! I am a huge fan of the movie "Joseph Smith, Prophet of the Restoration" and first saw Dallyn in it playing Hyrum. Then I saw that he will be singing in Time Out For Women in Orlando. I didn't know he could sing. I was excited to attend. Once he began singing, I was awe struck with his beautiful voice and the feeling in which he sung these favorite hymns. It was inspiring and very heart felt. It brought me peace, happiness, and true joy. My heart swelled. I immediately purchased this CD, and I love every single song. Each one is my favorite and I love his arrangements. 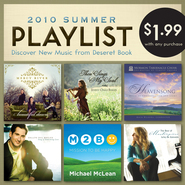 You will absolutely love this CD as much as I do. Thanks Dallyn! His voice will touch his spirit through and through. I have both of his CD's and saw him at TOFW! Just couldn't choose which one I wanted! So buy both! I saw him at TOFW and bought two of his CD's. You will Not be disappointed. This guy touches your soul!!!! The perfect blend of beauty, talent and spirit. The richness of "The Voice" draws you in; the beautiful arrangements command your attention; the Spirit of the music fills the soul. Dallyn Vail Bayles has once again brought his incredible talent, interpretation, and spirit to beautiful arrangements that inspire, enthrall and leave you yearning for more. I have seen the concert of Dallyn's first CD, "Prayer" several times. I am always amazed at the richness of his voice and his ability to stir emotions in me. The thing I appreciate most is that what you see and hear in Dallyn's interpretation and performance is a truthful and honest expression of his personal beliefs and feelings. There is no pretense. I am always inspired by the spirit of his music. This CD is no exception. The beauty of his voice in combination with the arrangements, guest performers, and orchestrations will leave you wanting more. 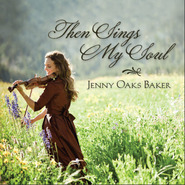 This is the perfect gift for family and friends and will uplift and inspire the souls of all who listen.